Well, so much for good intentions. Though I did manage a final India “roundup with photos” recently, I realise I have been here in Western Australia for more than a week. And as I haven’t done very much, I can only say that actually, my time here is really the first few days when I have actually felt able to do nothing. I am even doing some sunbathing (sunbaking! as we say here) even though the practice is largely frowned upon and people go to quite some lengths to ensure no sun-tanning gets done. Kids appearing as white-faced ghosts, grown adults with silver or white cheeks and noses : they know from experience the damage that the sun can do, long-term. It’s not like Jan Austen – or India for that matter – where a pale skin indicated a non-outdoor working life; even the outdoor workers (lifeguards, gardeners etc) are covered up and protected in the main. I tell myself that my half to one hour in the sun daily is just toning my skin up nicely! I don’t want to arrive in Sydney looking that a pale Pommie! See what a different culture I come from! It’s actually about 28 degrees here this week (a hot 82 in UK speak) and clear blue skies mostly. There has been a little rain shower or three, which they need, and (like India) it gets dark pretty sharpish at 6.30 pm. Since I am a creature of leisure and my hosts have now returned to work, I’ve been borrowing a bicycle and cycling around and usually ending up in the nearest town – Mandurah – almost daily. For a proper barista coffee (they don’t drink it at the house) and usually a snack or cake (you know me!). And a leisurely exploration of the area. Mandurah calls itself a City – I think the population is around 85,000 and it is the biggest place in WA apart from Perth (500,000). Mandurah lies 50 miles south of Perth and has been quite lucky in recent years in obtaining a new highway, a new railway from Perth (very efficient) and some very smart marina and canal-side housing developments. There are some beautiful waterside homes at prices than can climb towards $2M but you would get quite a lot for that – probably 7 beds and baths, several reception areas, boat moorings etc. The Indian ocean lies one side (west) and Mandurah sits at the mouth of a river and inlet complex which is pretty huge and includes several conservation areas and legions of birds, inc. ibis, cormorants, pelicans, parrots (of many types) and of course bush creatures like kangaroos. Only today – as I returned from the cycle, not 200 yards from home, two kangaroos were browsing the grass verge, looking well-fed and sleek and with little interest ine me. They move with a strange, slow gait – almost gracefully for animals with such tiny paws and such large hind quarters! Reaching for my iPhone to take a picture, I realised – to my utter horror – that I had actually left the phone on top of a publci phone box in the city- half an hour cycle away! Being too budget-conscious to use the iPhone itself, I tried to call across country using a payphone and (James being James) when it didn’t work, I stomped the receiver down, took back my coins and cycled off – completely forgetting the phone propped up on top so I could read the number to dial! A fatal combination of impatience, irritation, forgetfulness, Jamesness. But there is a God! Trevor was at home close by and we flew into Mandurah. Astoundingly, there was the iPhone, still sitting atop the payphone – and this on what is Mandurah’s main through road. Thank God – and I say that with humility and gratitude! – that most people have mobiles these days so pay phones get very little use. I happen to think that Australia is (by comparison to England – and certainly London) a rather more moral place and that a finder would have handed my phone in. But I am very grateful that I did not have to put that theory to the test. Phew!! Meantimes, I have been doing a little research into the place called Australind – almost exactly 100 miles south of Perth. It seemed to me that the name was of such significance (Australia and India – two of Britain’s major colonies) that it must have a special place in Australia’s founding history. The truth is somewhat more mundane and sadder. Though first sighted in the 1650s by Dutch explorers, no landings were made until about 1802 and only in 1841 did the british purchase (from whom??) 103,000 acres with the intention of settling and breeding horses. 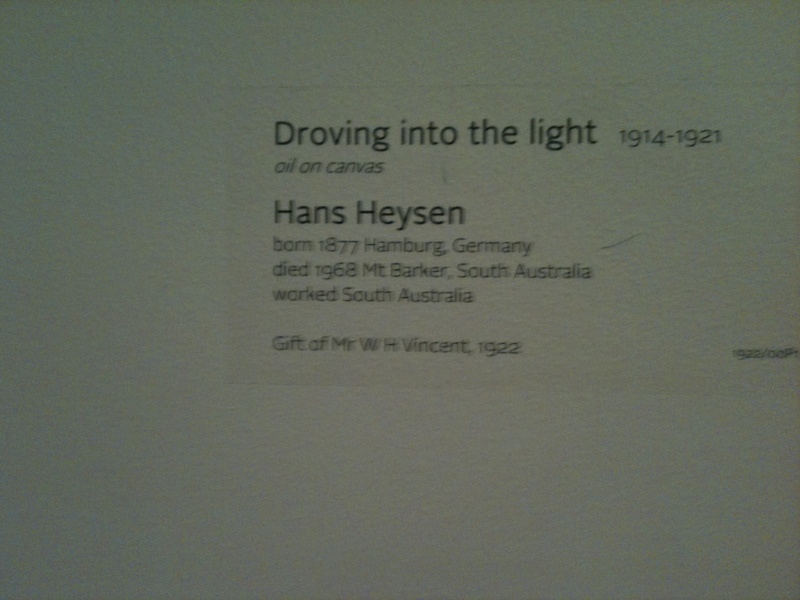 For use in Australia and in India – hence the name. The settlement really lasted barely two years : as someone remarked, there was no rain in the summer and too much in the winter. The land (as it is all along the coast) was too poor to support crops etc and though 440 settlers came from Britain, the site was officially abandoned as a settlement in 1875. The focus shifted a few miles away to Bumbury, but largely to Perth where the abundant Swan River allowed for an inland settlement and thus ensured its future as the state capital. Some hardy souls clearly hung on – though it is interesting to note that as late as the 1971 Census, only 418 lived in Australind. Today that may be as many as 7500 but it will never be an important place and (indeed) is bypassed now by the “Old” Coast Road and by a new inland freeway and has no rail connections. I still plan to visit to see the 2/3 buildings that remain from that first attempt in the 1840s. a lovely picture from around the time of the 1st World War which captures the evening light and the trees that make this such a wonderful landscape to wander. 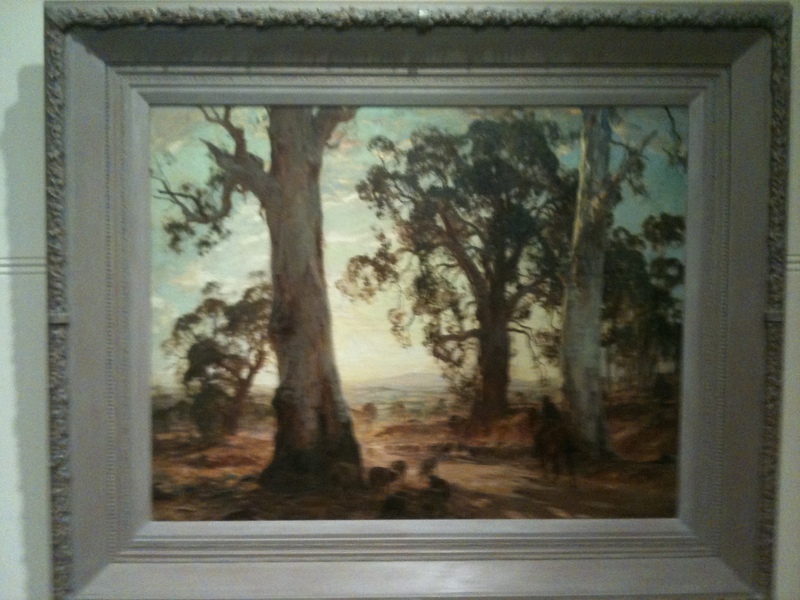 Called ‘Droving into the Light’ by a German artist – Hans Heysen. And I also include a shot of the ubiquitous local emblem – state, river and Brewery!! 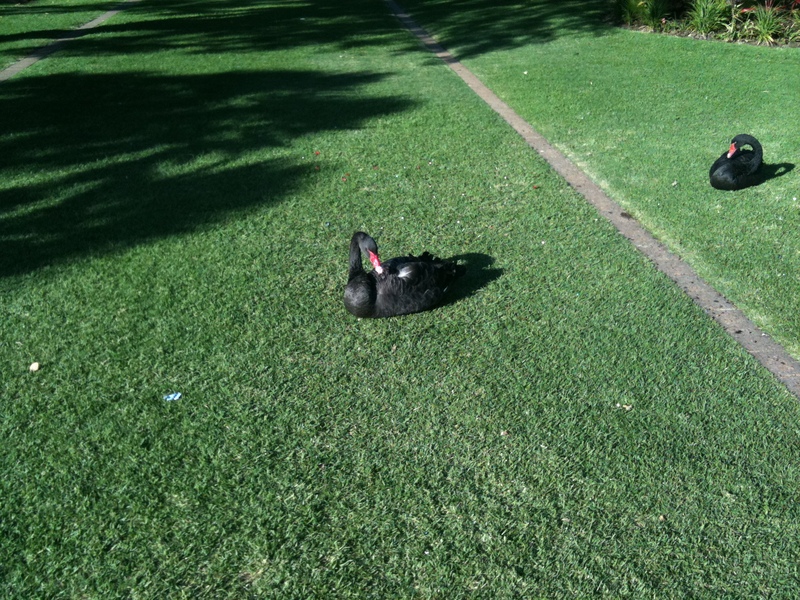 The Black Swan! Keep me in your thoughts, as I do you in mine.